I had every intention of learning to knit. 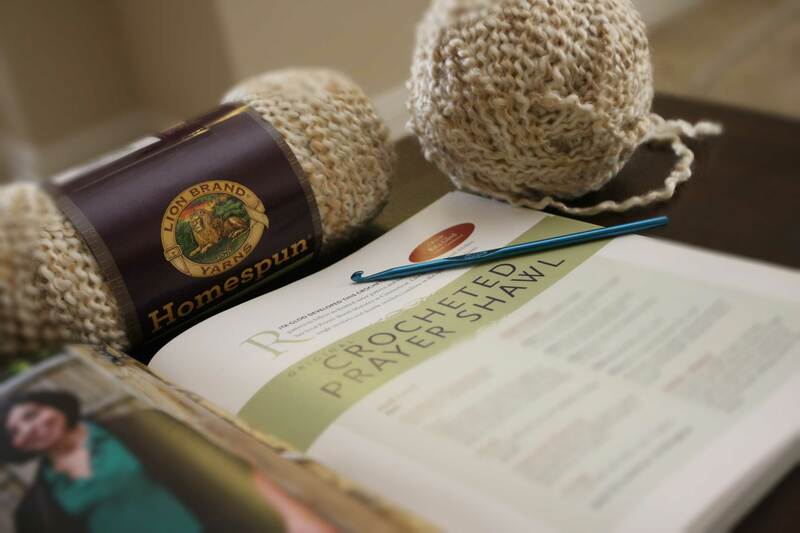 My inability to use knitting needles will not keep me from trying a different route to making a prayer shawl. Now that I have a basic understanding of written crochet patterns, I am attempting to crochet a shawl from The crocheted prayer shawl companion : 37 patterns to embrace inspire & celebrate life by Janet Bristow. The very sweet ladies of the Prayer Shawl and Knitting Ministry at All Saints Catholic Church in Dallas tried to teach me to knit. I fumbled, tangled and banged those knitting needles until they told me to go home and just practice. They sent me home with the materials I needed to make the shawl, which will be given to a cancer patient going through chemotherapy. Even with You Tube, I am not able to teach myself the coordination needed to knit. Thank goodness I found this crochet book at the library! It has been heavy on my heart to use my crochet talent for a good cause. I encourage any crocheter to think about making a shawl/wrap/blanket and donating it to a charity or ministry you believe in.